Authorities in Florida are being praised for rescuing a bald eagle that was stuck in a very unusual place. 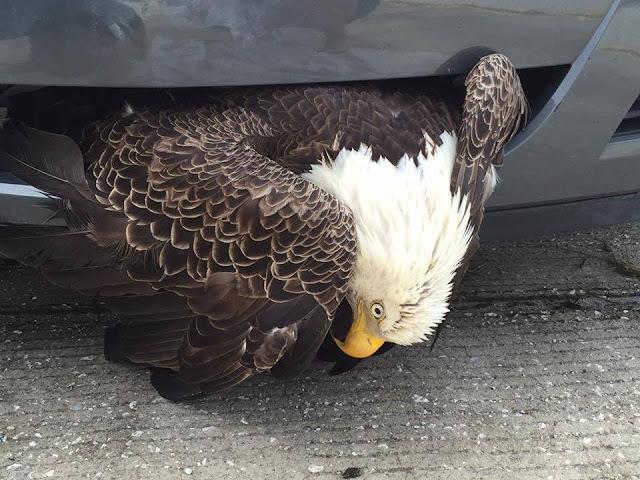 According to the Clay County Sheriff’s Office, a citizen had a bald eagle fly into the front of their vehicle and became lodged in the grill Saturday, October 8th. 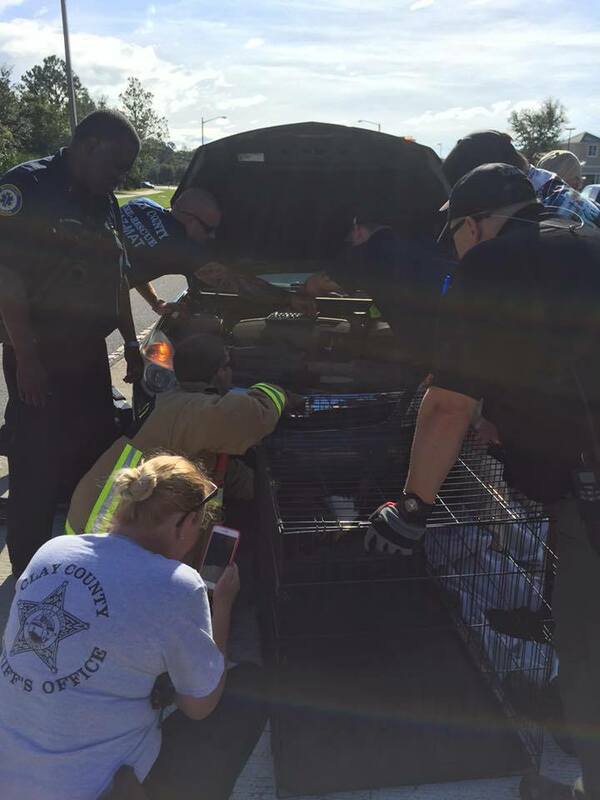 The Clay County Sheriff’s Office and Clay Fire Rescue responded to the scene and were able to rescue the eagle from the grill. The eagle was alive when rescued and turned over to the B.E.A.K.S. Wildlife Sanctuary. 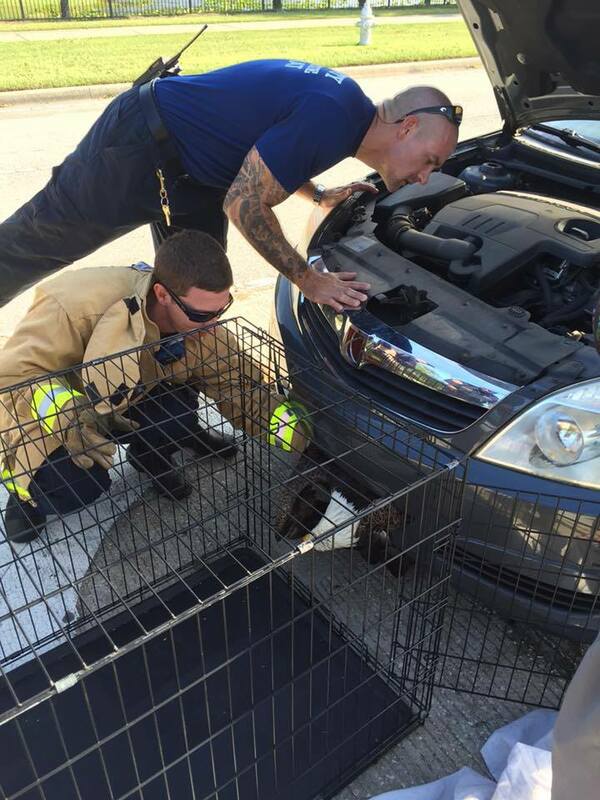 Rescue team shared details of the bird's rescue on Facebook. " A citizen had a bald eagle fly in front of his vehicle and the bird became lodged in the grill of the vehicle. 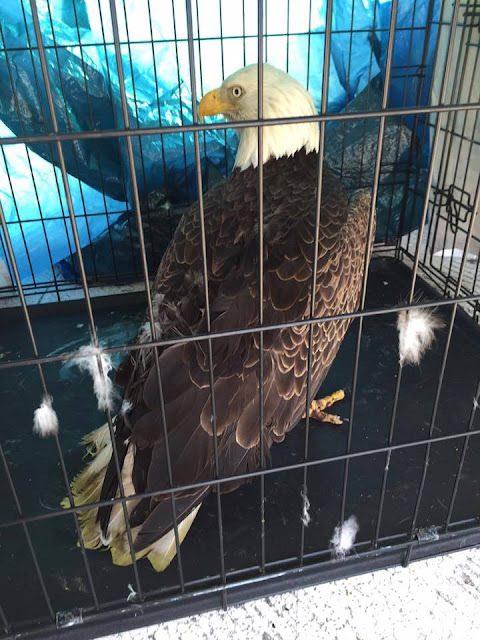 Clay County Sheriff's Office and Clay Fire Rescue personnel responded and rescued the eagle from the grill. The bird is alive and was turned over to the B.E.A.K.S. Wildlife Sanctuary. Great Job by all involved." Since 1981, B.E.A.K.S. has been dedicated to caring for and rehabilitating injured wildlife, especially Florida's wild birds. B.E.A.K.S. also utilizes public education to help prevent the destruction of wildlife populations. ​All species of wild birds are cared for including endangered and common species. From eagles and wood storks to blue jays and wrens, approximately 4,000 birds are recieved each year at our sanctuary on Big Talbot Island, located on Northeast Florida's Atlantic coast. B.E.A.K.S. and Cynthia Mosling have been nationally recognized through awards and media presentations. 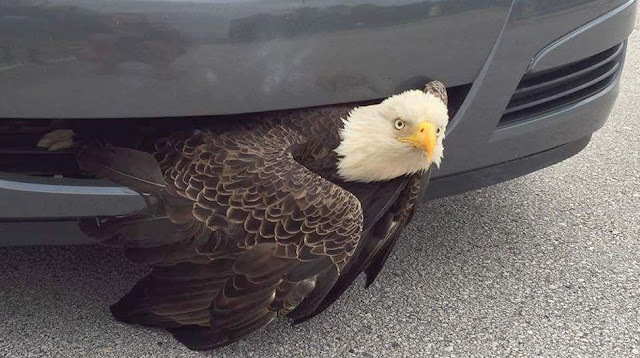 Responses to "American Bald Eagle Rescued After Getting Stuck In Car Grill"
A few ruffled feathers, but better than the alternative.